In today’s arena, when we consider best online business Suites, Office 365 and G Suite are one of them. Both are the leading cloud-based application and provide number of alluring facilities, such as online file storage, video conferencing, collaboration etc. Also most of the organisations are rushing towards Google Apps to Office 365 Migration. Let’s explore why is this happening. However, Office 365 is slightly costlier than G Suite. But, the reliable and powerful security service of Office 365 makes it cost-efficient. Because of this, it can be seen that many mid-sized businesses are migrating from G Suite to Office 365 account. Hence, the objective of this blog post is to provide an appropriate and trustworthy method on how to migrate email from G Suite to Office 365. Let’s get started! When the G Suite users require to move data in Office 365 mailboxes, then there are number of manual workarounds available for this. After considering all manual techniques, we conclude that most of them are complex and requires lots of time to complete the task. However, one manual method known as IMAP Migration to Office 365 is much more convenient than other traditional techniques. Although, one limitation is associated with this solution is that it only migrates Gmail email in Office 365 account. Now, go through this method to transfer G Suite data to O365. IMAP migration can be done in two ways, i.e. PowerShell and Exchange Admin Center. Here, we discuss EAC method to migrate G Suite email data to Office 365. One can need to follow the below-described steps sequentially. Tip: The maximum size of created file should be 10 MB only. If the access for EWS (External Exchange Service) is not enabled in the environment, there are 93% chances for the error to occur. If the user starts to migrate Office 365 files to Outlook over the Internet. 2. Once you opened the account, then go to Users option. 3. Here, you will clearly see a list of user’s along with last signed in detail. 4. Next step is to select each and every user and note down the email address. 5. Once you have done with the above step, then login to Office 365 admin center. 6. After that, click on Users and then select Active users. Go through the User Name column because you need this information later. 7. 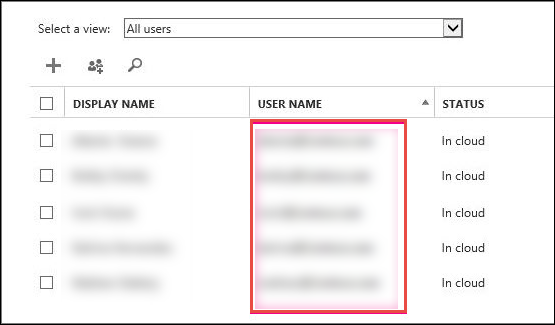 Do not close Office 365 admin center window. 8. Next, open Microsoft Excel program and create a sheet as mentioned in the screenshot. Email Address Column- Type the ID of Office 365 mailbox. UserName Column- You need to mention the log in name for user’s G Suite mailbox. Password Column- Write the password associated with user’s Gmail mailbox. At last, save the file in CSV format. 1. Navigate to EAC or Exchange Admin Center. 2. Now, click on Recipients >> Migration option. 3. Click on ‘…’ option and select Migration endpoints. 4. After that, go to New+ icon in order to make new migration endpoint. 5. From the following page, select IMAP option. 6. A new page will appear on the screen named as IMAP migration configuration. Here, you need to change the IMAP server setting to imap.gmail.com. Also, make sure that default settings remain same. 7. Click on Next to establish a connection between Office 365 and Gmail. If the connection is verified correctly, then Enter general information page will display on the screen. 8. Now, you need to write a Migration endpoint name, for example, xyz-endpoint. 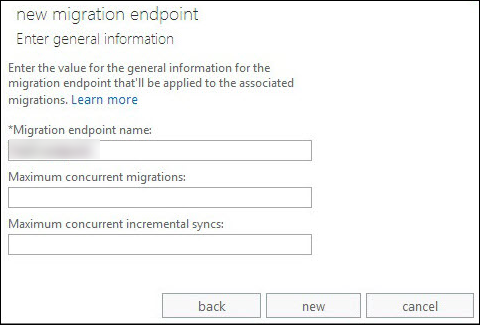 Also, blank the two below boxes and click on ‘new’ to make new migration endpoint. 1. 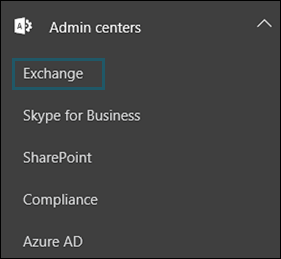 Open Admin centers and select Exchange from the menu. 2. You need to navigate to Recipients >> Migration option. 3. After that, click on ‘+’ icon and select Migrate to Exchange Online option from the list. 4. Now, select IMAP migration and click on Next to proceed the process. 5. On the next page, navigate to Browse and select the migration file. Thereafter, Office 365 will check the file such as file type must be CSV, rows should not be more than 50,000 etc. If any of the parameters fails, it will display an error. 6. Once the O365 verifies the migration file, number of Gmail mailboxes that going to be migrated displays on the screen. Click on Next. 7. Under the Set the migration endpoint heading, choose the migration endpoint that was created in previous step. 8. From the IMAP migration configuration page, select the default values. 9. Click on Next for further process. 10. Type the name of migration batch under the New migration batch name heading. Also, you can exclude some folders from the migration by entering its name in Exclude Folder box. 11. After that, select Next button. 12. Perform the following steps in Start the batch page. Click on Browse to send migration reports file to rest of the users. Under Properties section, a user can also view report file. Select Automatically start the batch option and click on New to start the process. 13. At last, the actual migration of Gmail email data to Office 365 starts. Now, What to do for Migration of G Suite Contacts and Calendars? It is evident from above that manual method only migrates G Suite email to Office 365. The next questions come in user’s consideration is how to move Google Apps calendar or contacts. Luckily, we have a solution for this. The G Suite to Office 365 Migrator is one of the best G Suite data to Office 365 migration tools. It is a data migration software used to transfer email, contacts, and calendars from Google Apps to MS Office 365 account. Apart from this, it provides ‘Filter’ facility to send only relevant data from G Suite to O365 in a seamless manner. 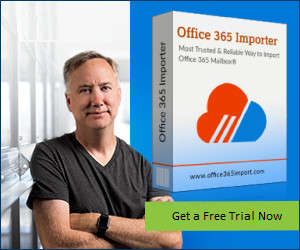 If the users are looking for a solution that migrates all mailbox data of Google Apps to Office 365 in a few clicks, then this tool is a perfect choice. Today, people are moving from one email program to other application for better email service. Among all, migration of data from Google Apps to Exchange Online is very much popular. Therefore, in this article, we have discussed a Google Apps to Office 365 migration guide. Because of its downside, we have suggested a professional automatic software that moves calendars, contacts along with emails from G Apps to O365 in a matter of minutes.